Ms Brennan — who produced the film in 2005 — will be attending the screening of the film which was an entry in the 2006 Wildlife Film Festival in Missoula, Montana and the 2007 Jackson Hole Wildlife Film Festival. The Explorers Club, located at 46 East 70th Street in New York City, is an international multidisciplinary professional society dedicated to the advancement of field research and the ideal that it is vital to preserve the instinct to explore. Since its inception in 1904, the club has served as a meeting point and unifying force for explorers and scientists worldwide. “The film ‘Bermuda’s Treasure Island’ tells the story of a remarkable man who saved one of the world’s rarest seabirds from extinction. 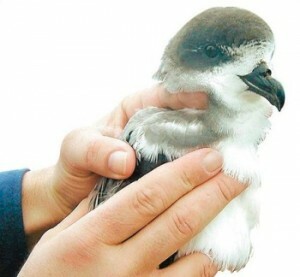 Bermuda’s legendary seabird, the Bermuda Petrel, or Cahow, was thought to be extinct for over 300 years,” said the Explorers Club. “In 1951 an expedition was launched to search for the Cahow. During the course of his career, he transplanted more than 8,000 native trees and shrubs to the once barren Castle Harbour island. It is now a “Living Museum” of Bermuda’s native and endemic plants and wildlife. « Banker Larry Slaughter Joins Lazard Ltd.